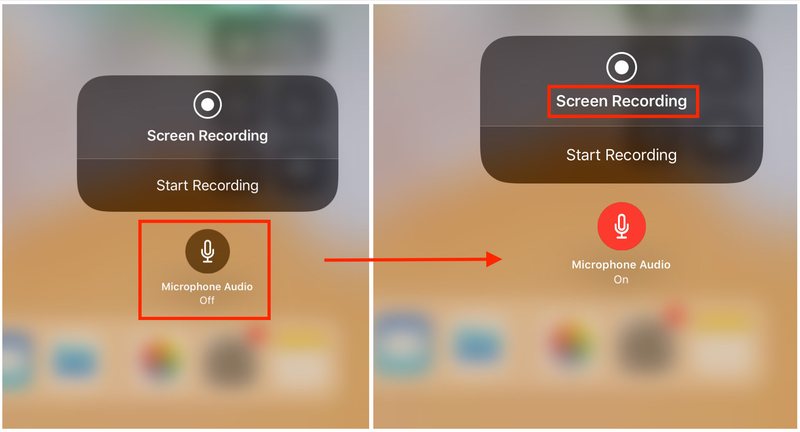 Do you know how to use Screen Recording on iPhone or iPad running in iOS 11? 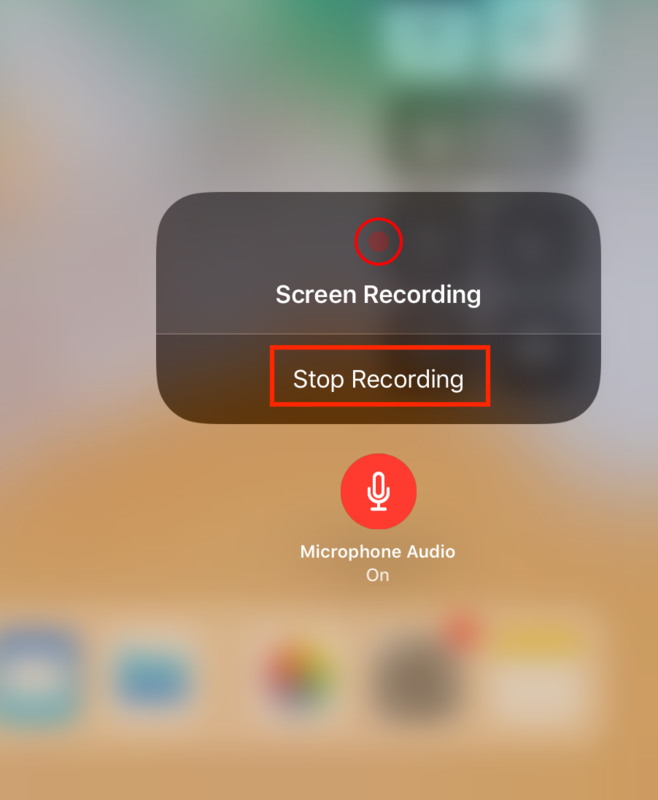 This guide will tell you how to enable Screen Recording on iOS 11 and how to use it to record iPhone iPad screen. After reading this guide about Screen Recording on iOS 11, you can have a try on this iTunes alternative to transfer your videos from iPhone to PC or Mac computer with ease. What is Screen Recording? Screen Recording is a new feature in iOS 11, it is amazing among many new iOS 11 features. 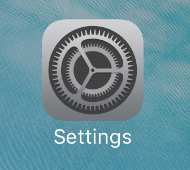 It makes it easer for you to record your iOS device’s screen without using any third-party software anymore. 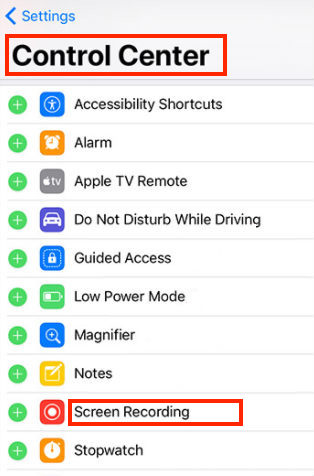 Then, do you know how to enable Screen Recording in iOS 11 on your iPhone iPad? It’s easy enough to make it, simply follow steps below. Follow steps below to enable Screen Recording on iPhone iPad running in iOS 11. 2. Tap on Control Center > Customize Controls > Scroll down to Screen Recording. 3. Tap on the green “+” button at the left of Screen Recording to add it to Control Center. 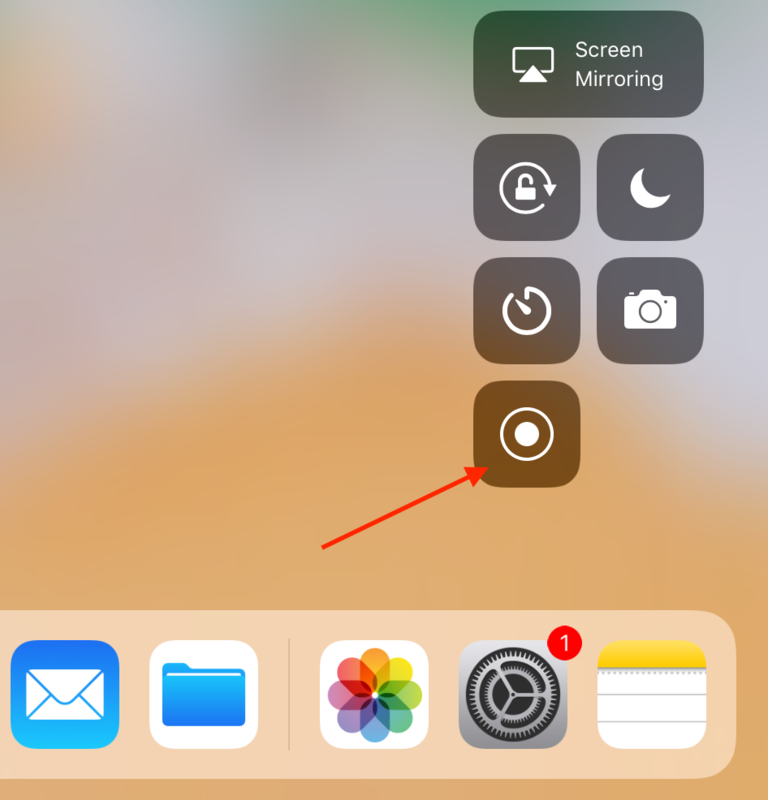 After enable Screen Recording in iOS 11 on your iPhone iPad, you may have such a question “how to record my screen on iPhone?” Yeah, that is really a problem, how do you record your iPhone screen with this new feature? 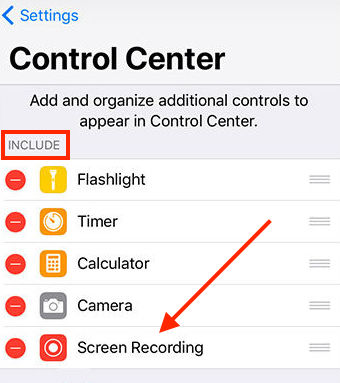 If you have no idea, don’t worry, in this part, we’ll tell you how to use Screen Recording on iOS 11 to record iPhone iPad screen. Here we go. 1. Swipe up from the bottom of the display to reveal Control Centre. 2. You’ll see a Screen Recording icon; hold on the button for a while. Later, you will be presented with options for starting and stopping a recording. Meanwhile, you’ll see a microphone button, turn it on. Then, tap on Start Recording. 3. After you see this display, it means that it recording your screen now. If you want to stop screen recording, just tap on “Stop Recording”. After taping on stop, it will save your recording to the Photos application. 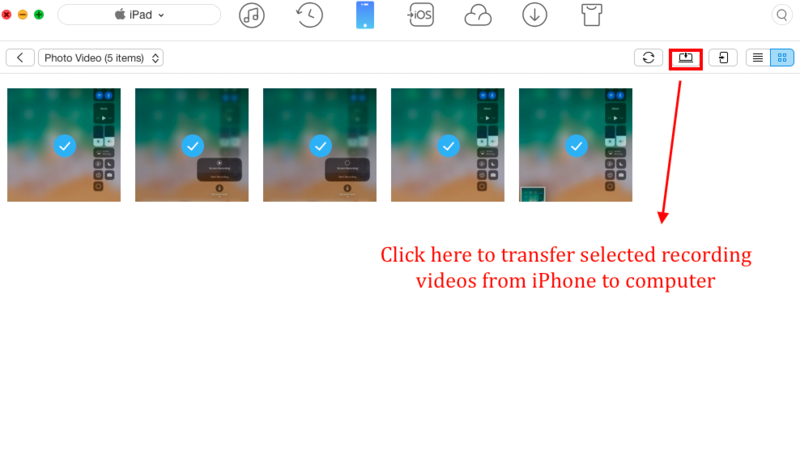 That’s all for how to record iPhone iPad screen on iOS 11, if you want to manage and transfer these videos, read on, the following part will introduce you an easy way. When saving more and more videos by recording your iPhone or iPad, sometimes, you may need to transfer these videos or other types of videos to computer to make a preservation and free up more space of iPhone or iPad. So, here in this part, we’re going to introduce you an amazing iTunes alternative named AnyTrans to help you transfer recording videos and more kinds of iOS data from your iPhone to computer with ease. 1. Download and install AnyTrans on your Mac or Windows computer and connect your device. 2. Go to the category page and select Videos, and then select Photo Video. 3. Choose the videos you want to transfer and click on To Computer button. Besides videos, AnyTrans also supports transferring other kinds of iOS data such as photos, ringtones, playlists, movies, contacts, notes, messages, Safari Bookmarks, iBooks, etc. And it supports transferring in multi-direction; you can transfer data among iOS device, iCloud, computer and iTunes. In addition, it works well on all iPhones, iPads and iPods. This guide tells you how to enable Screen Recording in iOS 11 on iPhone and iPad, as well as how to record screen on iPhone iPad on iOS 11. You must clear about it after reading this guide. 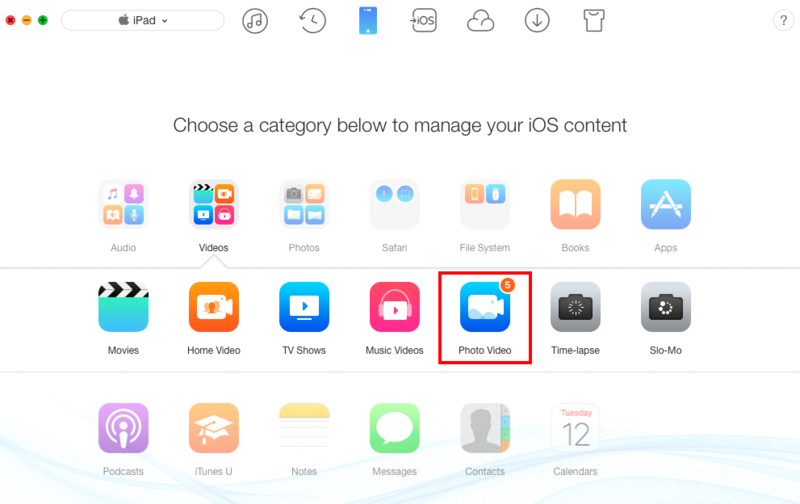 By the way, if you want to transfer your recording videos from iPhone to computer or to iPad, to another iPhone, you can download AnyTrans to make it with ease.